You indicated that the Voynich manuscript was in London in the late 16th century but there appears to be no historical record of this. Can you tell us something about your evidence? Notice that, vertically, the number "4" is placed above the letter "o". Also note that the vertical line of the "4" extends off to the left to attach to the "o". 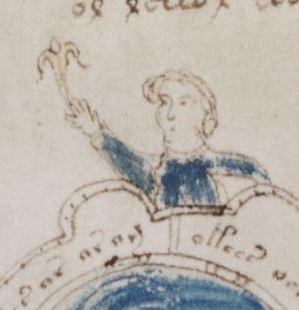 This is a snippet from the Voynich manuscript. 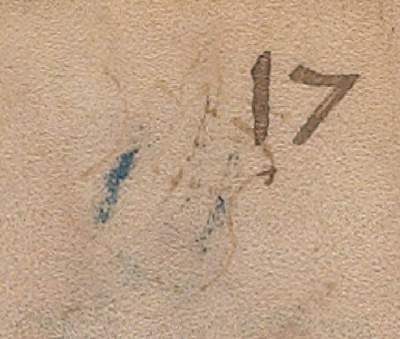 Notice that, though now horizontally, the "4o" (with which many words begin) is one of the most prominent glyphs seen in the Voynich manuscript. Also note that the crossbar of the "4" typically moves across to attach to the "o" that follows, conceptually similar to the "4" and "o" in the Herball. All a coincidence? 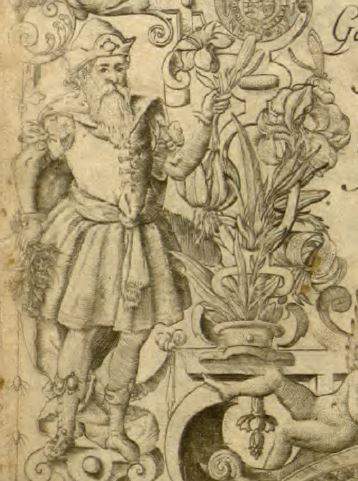 Possibly, but how else can you explain those glyphs on the cover of a botany book? Note also that the Herball icons are set into a shield in the form of a fleur de lys depicted upside down. So, where are we to find the fleur de lys? One logical approach would be to add up all the icons. 4 + I (1) the central shaft + L (50) + O (zero) + R (Reverse?) + X (10) + X (10 + X (10). 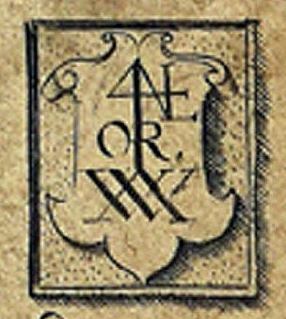 Per my calculations, therefore, we should expect to find the fleur de lys on Page 85 Reverse. Note that 17 multiplied by five gives us 85, the page whose foldout displays an unambiguous fleur de lys. Do any of the plant drawings in The Herball or Generall Histories of Plantes match any of the plant drawings in the Voynich Manuscript? 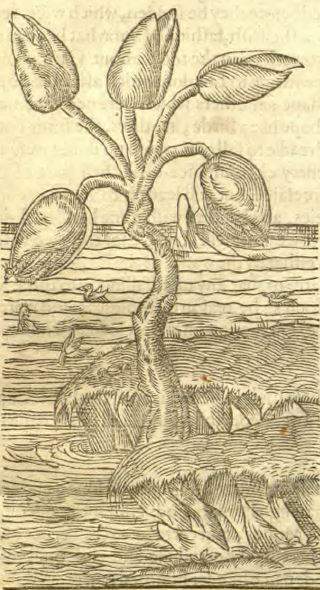 The Barnakle Tree (let&apos;s mention that this drawing was removed from the second edition of 1633 no doubt because such a tree does not exist) harbors seashells which, when they fall into the water below, magically transform themselves into geese. Take special notice of the depiction of geese in that drawing. Notice the geese-like figures over on the left-hand side. And like Herball, we see a scattering of "Barnakles" (the green leaves of the next plant reflecting through the page). Needless to say, geese and barnacles are rare in both books, so there is no reason to doubt that the first drawing of the Voynich manuscript inspired the last drawing of Herball. The evidence, of course, extends far beyond the barnacles. 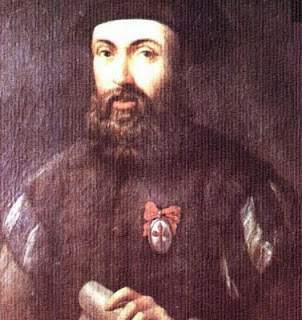 For example, the Lord Burghley (portrayed on the cover of Herball) provided finance for Sir Walter Raleigh&apos;s expeditions to the northern coast of South America. In 1584, Raleigh captured Pedro Sarmiento de Gamboa, the historian who told us that a white man brought a book to the Incas in pre-Columbian times. Sarmiento himself appears to be the only realistic possibility for transport of the Voynich manuscript from Peru to England. In 1596, one year before the publication of Herball, Raleigh sent one of his men (per Wikipedia) "to map the Orinoco, the Amerindian tribes and prepare geographical, geological and botanical reports of the country." So there you have it: a direct link between Herball (via Burghley) and the plants of the New World where we are claiming the Voynich was compiled! Ceux de Tunes, de Fez, & de Bugie:"
"Zu Fessa (oder Fasen, Fez) machet er kundschafft zu den (wie man sie zu nennen pflegt) Elementarischen Inwohnern"
"Novus Atlas: opus imperfectum Latine conscriptum ab Illustri viro Francisco Bacone"
The "demi" suggests that "Altas" is only half the story (requires the word "mountains"), and the line-ending arms provide the link to pick up those mountains. In 1597, when Herball was published, we were still in the early stages of the Shakespeare conspiracy. They were idealistic, naive, and foolish to the point of thinking it cute to drop cryptic hints and clues about their activities. Are you insinuating that Shakespeare had something to do with The Herball or Generall Historie of Plantes? Yes, indeed. Along with Burghley, Shakespeare may have provided financing for the project, and surely he was also a contributing author even if only as ghost writer for the Dedications and Epigrams. Amazon.com sells books with the following titles: Botanical Shakespeare: An Illustrated Compendium of All the Flowers, Fruits, Herbs, Trees, Seeds, and Grasses Cited by the World&apos;s Greatest Playwright; Shakespeare&apos;s Gardens; Shakespeare&apos;s Flowers; A Shakespearean Botanical; The Plant-Lore and Garden-Craft of Shakespeare; and The Quest for Shakespeare&apos;s Garden. Is it really hard to believe that Shakespeare had an interest in botany? Let me clarify that I am not the first to identify this drawing as Shakespeare though I do so for different reasons. The first honors go to Mark Griffins, who claims to be a botanist and historian, but nonetheless his article drew my attention to this matter. It does not look like Shakespeare to me. Are you sure that this is Shakespeare? Yes, those references to "Nostradami" and "montibus Atlas" leave no doubt about it. As you may or may not be aware, some have challenged authorship by the man from Stratford and have proposed other candidates. 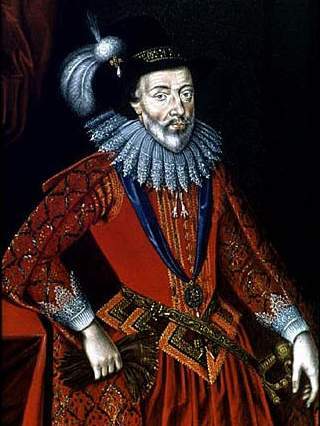 I myself, from my investigations, have concluded that William Stanley, 6th Earl of Derby, was the primary writer for the Privy Council (of which he was a member) and therefore would be the true Shakespeare, though it seems another royal court insider provided the plots and characters for the comedies and tragedies. Other members of the Privy Council, and perhaps King James himself, may have contributed something if only technical information on war, seamanship or whatever. Per the manifesto of their secret society, anonymity and the refusal to accept credit or reward for services rendered, was a fundamental precept of the brotherhood by which all members had sworn to abide. Consequently, it is hardly surprising that the Privy Council arranged for civil and historical records to be altered so as to attribute authorship to a deceased person from Stratford and away from themselves. Derby had strong family ties to the theater, a great education including study in France, legal training, foreign travels, enough money to finance Herball and later his own Folios, and a lifespan (1561-1642) long enough to have made revisions for the First Folio of 1623 as well as for the Second Folio of 1632. Derby was a close friend of John Dee and he married the granddaughter of William Cecil, giving him easy access to two of the largest libraries in England. This matter is significant because scholars have determined that countless books served as source material for the Shakespearean plays. With a Jesuit spy complaining that Derby was too busy writing plays to join the Catholic cause, and with a Sonnet declaring "my name is Will" (he signed his name Will Derby), he was always a strong alternative to the man from Stratford. But many have rejected his candidacy only because he lived too long (no new plays appeared after publication of the First Folio), not realizing that the First Folio was itself the end objective of their endeavors. 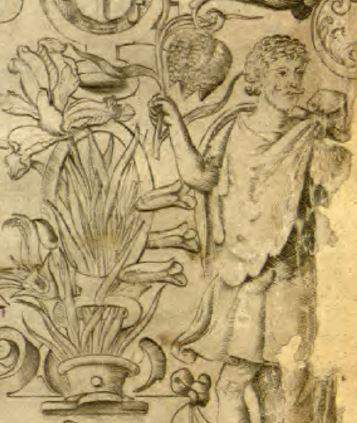 In higher resolution (I am looking at the cover of John Rollett&apos;s William Stanley as Shakespeare), we can see that several threads of his mustache twist out and upwards like in the Herball depiction. His medallion displays a white stallion on its hind legs, evidently being ridden by the goddess Minerva, right hand raised, holding and shaking the spear that she is pointing downwards: SHAKE – SPEAR. 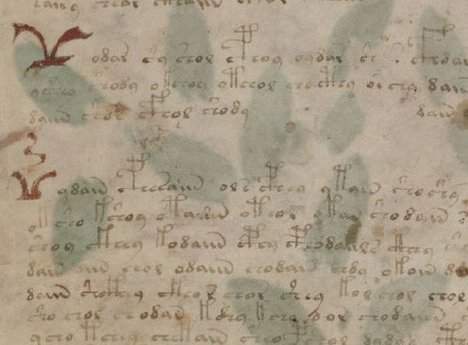 What does all that have to do with the Voynich Manuscript? There is reason to believe that from 1585 to 1588 Derby was involved in a project to decode the Voynich manuscript, masking his disappearance for those years with legends ranging from tiger hunting in Egypt to whaling in Greenland. The Shakespearean plays make numerous references to the Latin to French translation of the Voynich recipes. Illustrations can be found here. It was always foolish of scholars to think that such an elaborate system of encryption would be developed merely to protect harmless descriptions of plants. The recipes are hot, real hot, and let me add, this was no cookbook.